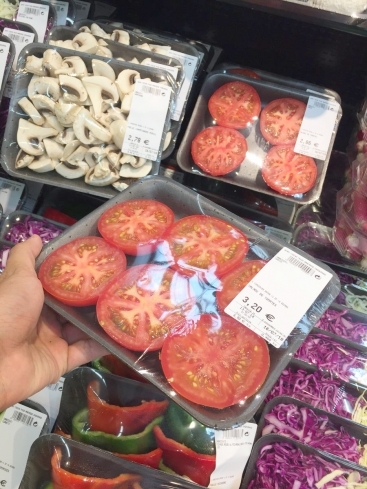 A photograph of three tomatoes, cut in half, wrapped in plastic and sold for €3.20 euros (€6.90 euros per kilo) in a Géant store in Annemasse (Haute-Savoie), has highlighted the issue of over-packaging. Twitter user Cemil Sanli, affiliated with the France Insoumise political party, photographed the store’s section of fruit and vegetables cut and wrapped in [non-recyclable] cellophane. The photograph was shared more than 2,300 times.